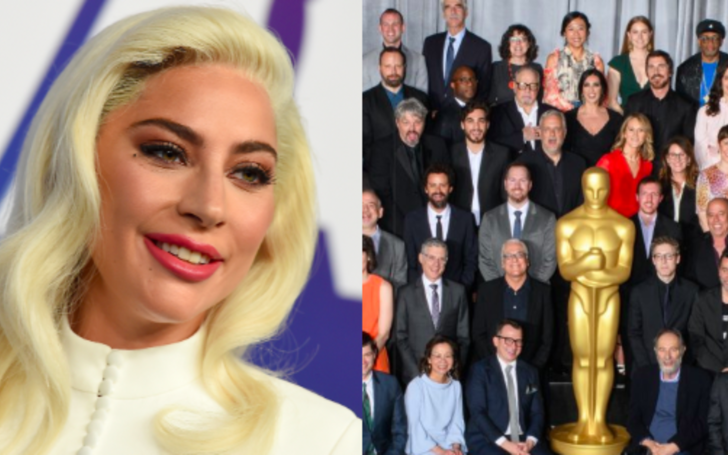 Queen Lady Gaga steals the spotlight in the star-studded Oscar class photo. On Monday, in Beverly Hills ahead of the 91st Academy Awards this month, nominees gathered for the annual celebratory luncheon honored by the Academy of Motion Picture Arts and Sciences this year. All the Oscar nominees this year commemorated the occasion with a star-studded group photo featuring 212 artists from the 52 films. An array of stars like Glenn Close, Mahershala Ali, Christian Bale, Rachel Weisz, Spike Lee, Bradley Cooper, Melissa McCarthy, Yalitzia Aparicio, and Rami Malek stood shoulder to shoulder around a giant Oscar statue for the star-studded portrait. Further, the Academy proudly took to Twitter to share the photo with the caption "Meet the 91st #Oscars #OscarsLunch. Amidst the stars, Gaga's ethereal, almost angelic appearance, seemed to stand out for some fans. Additionally, Rami Malek who is announced one of the presenters in Screen Actors Guild Awards was also distinctly noted for his mischievous grin in the photo. Unfortunately, not all the nominees attended the celebratory luncheon. Some of the notable stars missing from this year's class photo include Olivia Coleman, Adam Driver, and Emma Stone. The 91st Oscars which is going hostless this year airs on Sunday, Feb. 24, live on ABC.